Samsung Internet no Longer Samsung Exclusive! We have received many requests for Samsung Internet to become available on non Samsung Phones and Tablets. Well today we are announcing a new Beta. 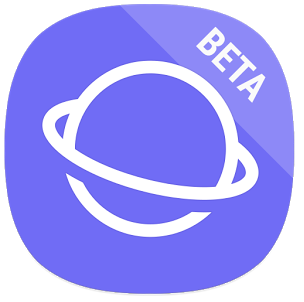 The Beta for the next version of Samsung Internet (5.4) will also be available for Google devices such as the Pixel and the Nexus series of phones as well as Samsung phones and tablets running android Lollipop, Marshmallow or Nougat! This beta version available in the Play Store and Samsung Galaxy Apps. It will recieve multiple updates before the final release around the end of April. Version 5 of Samsung Internet runs an updated version of the core Chromium engine. It is running Chromium M51 with security patches and some features backported and many new Samsung exclusive features. Samsung contributes to many W3c Web standards and these are the features we pride ourselves on with support for Progressive Web Apps, Web Payment and WebVR. The DuckDuckGo home page showing the ‘+’ icon indicating it can be installed. Samsung Internet 5.4 brings the latest support for applications made for the web. Progressive Web Apps are applications which can be installed like apps or used in browser. If you see the ‘+’ icon in your address bar, like in the screenshot on the left, you can install that website to your device’s home screen conveniently. For the developer: To make your website installable via the Address Bar ensure your app has a Working Service Worker and a WebApp Manifest. You can use W3C Service Workers API in Samsung Internet for Android 4.0 and above. Service Worker API allows you to develop web apps that work offline-first and support background processing. The service worker also enables you to make push notifications to update the user when your Web App is closed. This is known as Web Push. Virtual Reality in the Web is available at any point, place the phone into the GearVR headset and it will open in Samsung Internet for GearVR! Allowing you to view immersive web content quickly and conveniently. The GearVR supports the WebVR API enabling you to build a WebGL interactive and immersive scene which the user can explore by looking around and using the GearVRs touch pad. Samsung knows its users love to watch videos so the web browser’s video assistant gives the user control to watch a video in a pop-up player so they can browse the web whilst they watch. Duck duck go has been added as a search option. 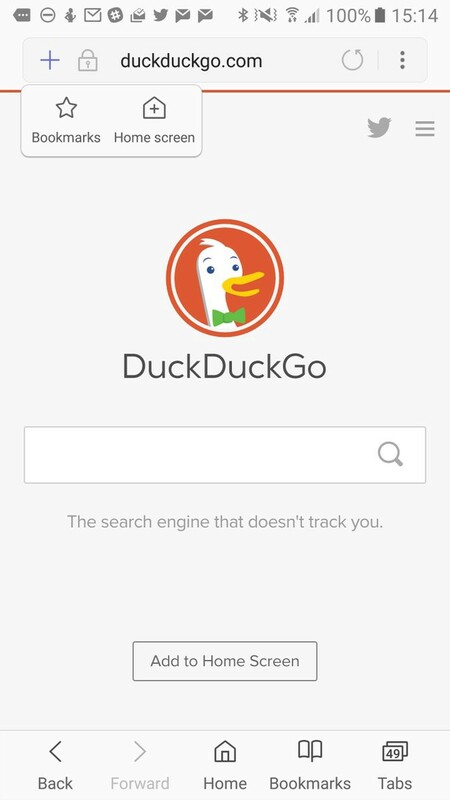 Duck Duck Go is a privacy focused Search Engine for users concerned with how their data is used. Duck Duck Go also has many features to enable power users to find what they need faster than ever. Samsung Internet can even Sync your bookmarks with Firefox and Chrome via a browser extension. Search for ‘Samsung Internet’ in your Desktop Browser’s extension store. The extension can import your bookmarks and allow you to manage your phone bookmarks by syncing with your Samsung account. This feature is disabled on the beta version of the browser because the Beta browser does not have access to the Samsung Account. Samsung Internet includes features to enable users to access URLs they may encounter easily without needing to type them out. The QR Code Reader enables the user to scan a QR code pattern to access your website. The QRCode reader is readily accessible from the drop down menu in the browser. 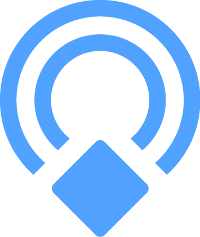 Physical Web beacons are little Bluetooth devices which broadcast a URL. When the user approaches a Physical Web Beacon the CloseBy service will make a notification to alert the user, showing the title and description of the website. Samsung Internet for Android provides extensions so users can utilise useful services for a more pleasant browsing experience. One such extension is the Amazon Shopping Assistant which can be turned on to enable you to get the best deals when shopping on the web by comparing products with Amazon. 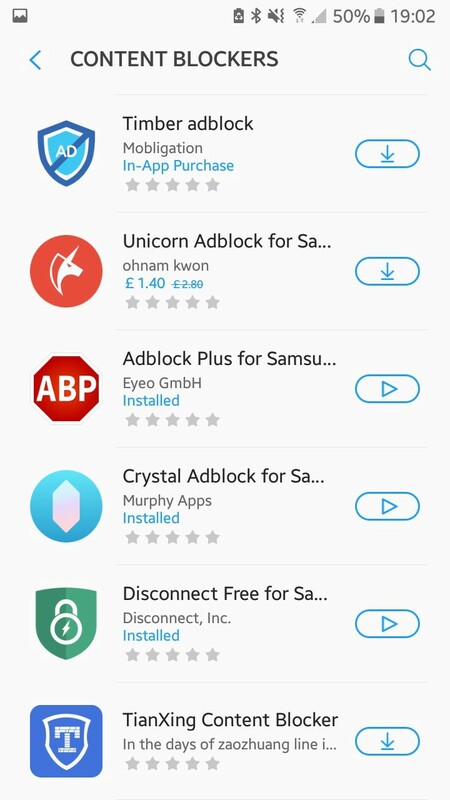 For enhanced security and privacy there are numerous extensions which enable the user to protect their privacy by blocking harmful adverts or trackers. The Disconnect.me Content Blocker, available from the play store will block harmful tracking cookies to help protect your privacy online. Ad-blockers such as AdBlock Fast will speed up websites by removing adverts. There are currently 8 Content Blockers ready to be installed right from the browser. Thanks to Peter O'Shaughnessy and Daniel Appelquist.